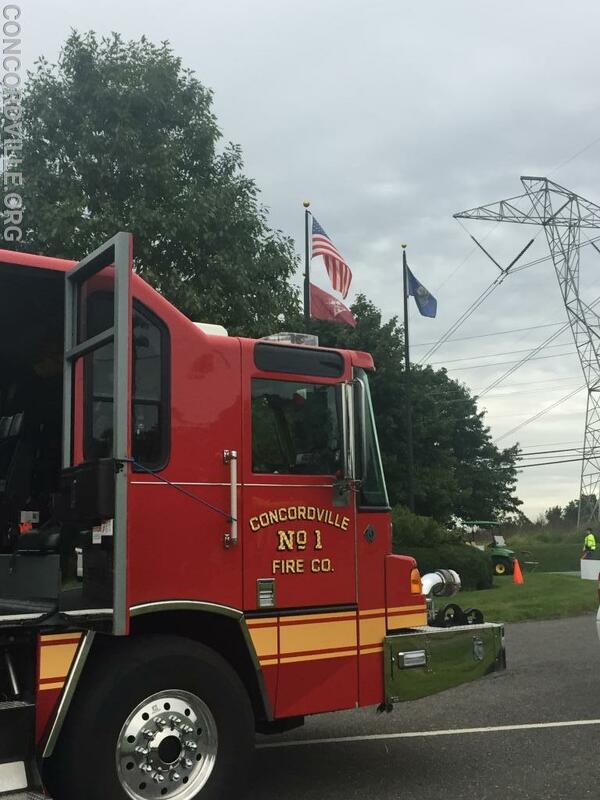 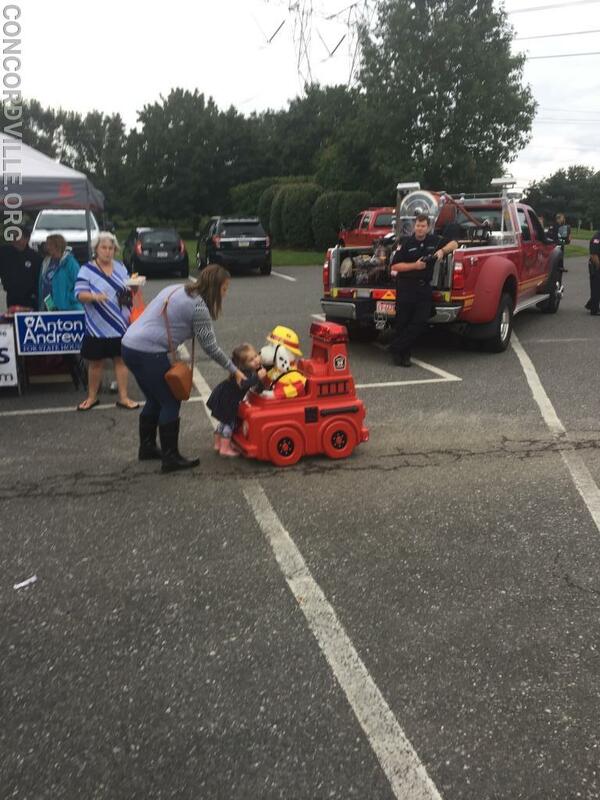 On Saturday September 8th members participated in the annual Concord Township, Community Day held at Concord Township Park. 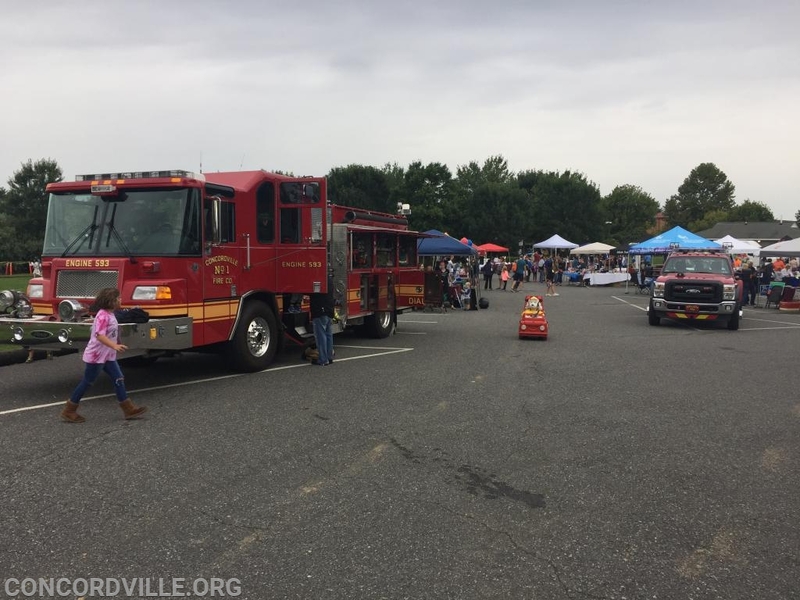 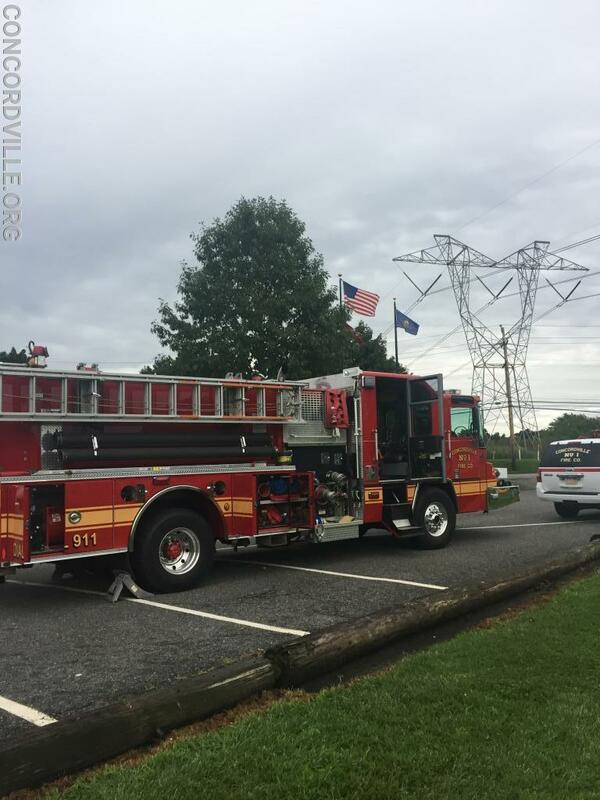 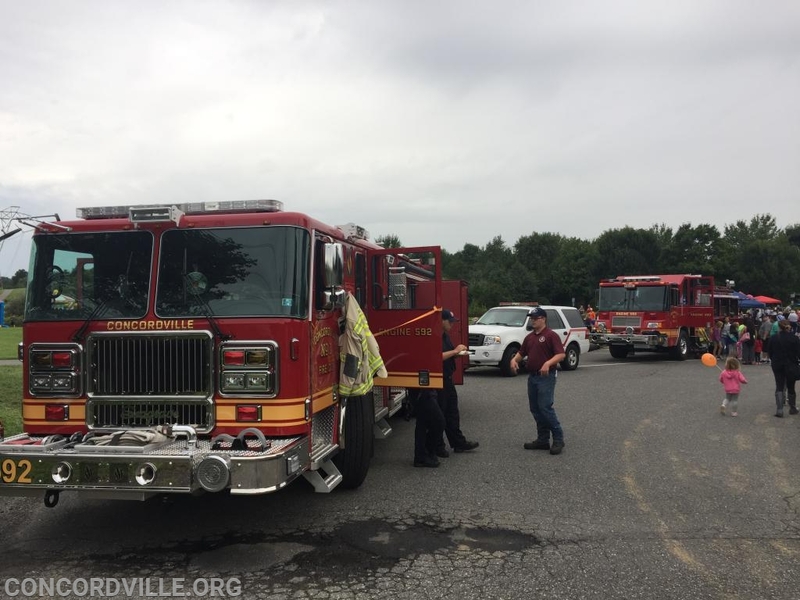 Firefighters and EMTs spent time interacting with our local residents, discussing Fire Safety and displaying our apparatus. 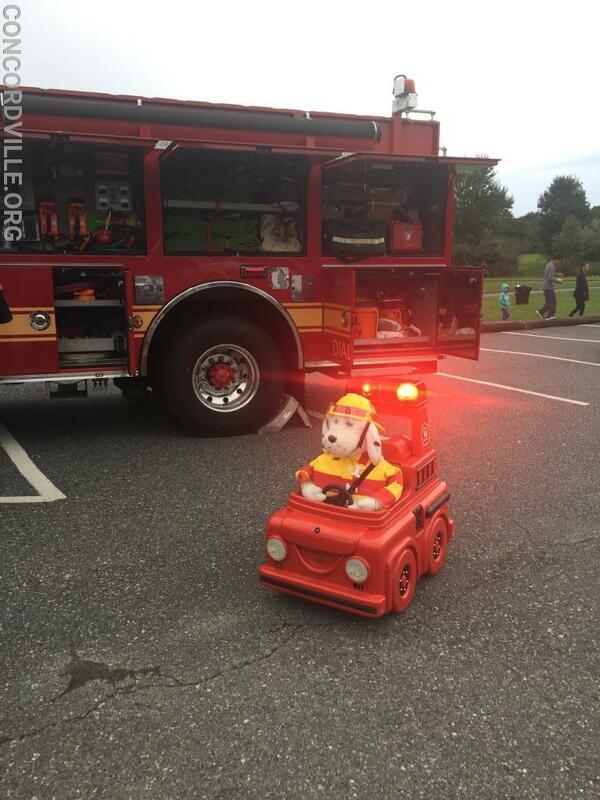 Our friend Sparky the Robot also made an appearance and enjoyed interacting with the many kids in attendance. 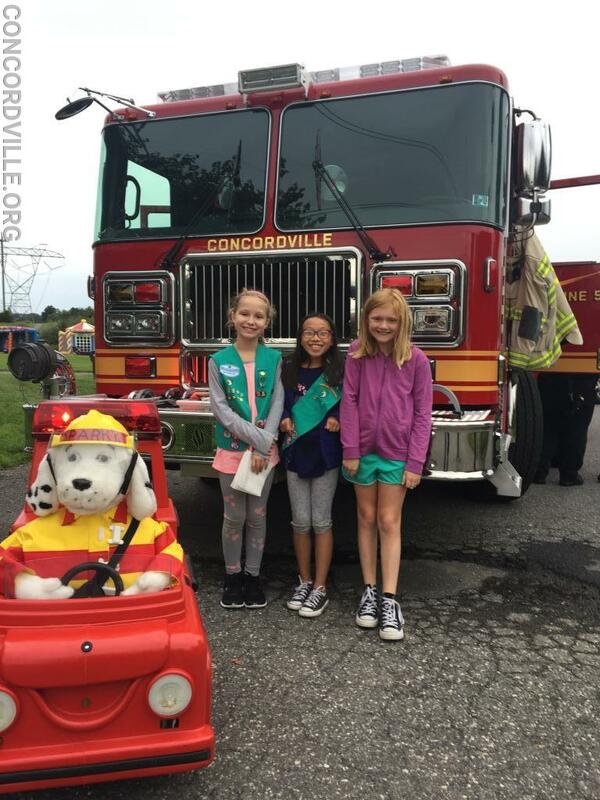 A special thank you to Girl Scout Troop 571 who baked delicious cupcakes for our crew members. 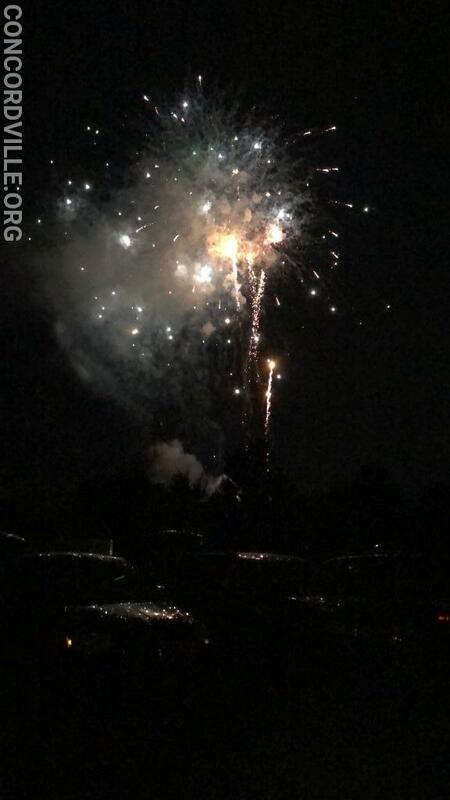 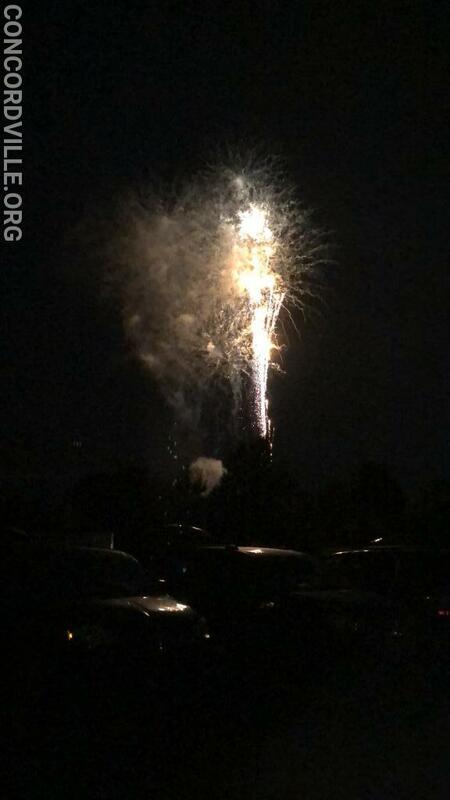 Crews then concluded the day by providing standby duty for the amazing fireworks show.